Companions for Home Health Care! Value Care has been helping people in need to find compassionate home health care since 2007. We have built our private duty home health care company on the virtues of quality, honesty and value. 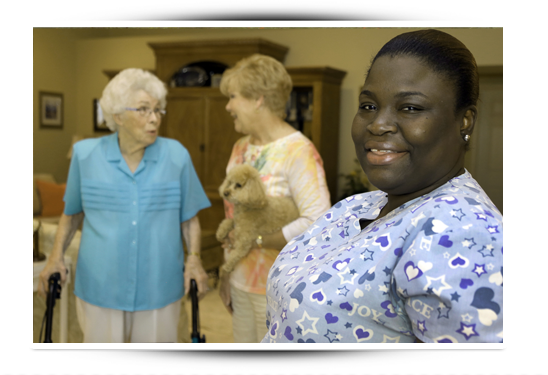 We match clients in need with qualified and compassionate home health aides and certified nursing assistants. We believe all of our clients should be able to Pay Less for More Care. Because our clients want more help and less worry, we refer caregivers at the lowest cost for in-home health care. We search for caregivers who understand our clients’ financial and care needs. We do not add on surcharges for weekend or holiday visits and we do not require any minimum number of visits throughout the week. We find experienced home health aides for those who need care. We do not believe you need to sacrifice quality to get good value. We want our clients to have exceptional home health care. We have developed several programs and guarantees to make sure our clients are in safe, competent, and compassionate hands. Our FIVE STAR PROMISE to our clients ensures that the home health aides and certified nursing assistants we refer are better qualified and experienced. In addition to all legally required screenings by the state of Florida, like OSHA and CPR certification, and criminal background checks, we screen home health aides with our own set of additional tests. One year of experience as a home health aide. Solid references in the home health care industry. Ability to pass written communications tests. Ability to pass verbal communications tests. The amount of extensive screening and testing we conduct is our way of showing clients that we refer professional caregivers who will make the difference in their lives. Through our Care Match Program we find home health aides who best fit our clients’ home care needs. Our Customer Relations Professionals consult with clients to determine what their specific needs and schedule are. They will ask questions about the type of home care you want or need, your loved one’s personal schedule, daily activities, and hobbies. By taking this extra step we are able to ensure that caregivers we refer to you are a good fit. Because of our FIVE STAR PROMISE and Care Match Program we are so confident that our clients will be happy that we offer a First Day Satisfaction Guarantee. We go the extra mile so that clients will be happy with the caregiver we refer, right from the very first day. We follow up after the first visit to make sure our clients stay satisfied and plan to continue working with their home health aides.